Stay in Florida's best hotels! Homewood Suites by Hilton Orlando Theme Parks features a year-round heated outdoor pool, free hot breakfast, and fitness center. Free WiFi is also provided. The breakfast was wonderful. The evening social was an excellent feature. Location was perfect. 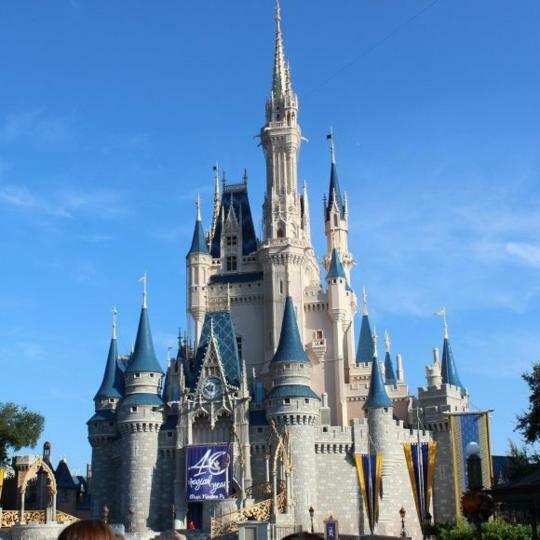 Located less than 0.9 mi from the western entrance to Walt Disney World Resort®, TownePlace Suites by Marriott Orlando at Flamingo Crossings/Western Entrance has an on-site Disney Planning Center... Very good and clean hotel next to Disneyland, friendly staffs always have smiles on their faces and prepare to help. You can buy Disney tickets next door and get on the shuttle bus if needed. With 4 pools, an on-site restaurant, and a 24-hour fitness center, there's something for everyone at EAST, Miami. The integration with the shopping center, restaurants and sky train to museums. This historic oceanfront hotel features a private beach area and on-site dining options. There are 2 swimming pools, including an adult exclusive rooftop pool, available at 1 Hotel South Beach. This hotel is one of the most beautiful and relaxing and stylish hotels i have ever visited in the world! The staff were friendly, cool and very helpful! Thanks to Fred, Jeff, Ali and Lizbeth for making our stay one of the best!!!! Located on Daytona Beach, this Florida hotel features an outdoor oceanfront pool with a hot tub. The Daytona International Airport is 11 miles away. The staff girls were extremely nice and the breakfast was amazing. The room had a nice view and awesome beds. Located in Miami Beach, Florida, this adult-only boutique hotel is just 3 minutes’ walk from the beach. A fully equipped kitchenette comes standard in each studio at Blanc Kara. Everything was absolutely perfect. Nice property. Perfect location. Big modern rooms. Great value for the area. Breakfast was limited but free. Tried to book more nights, but hotel was full. Will def. come back. This Florida boutique hotel has a spacious outdoor swimming pool. The property is 2.5 miles from the Miami International Airport and 4 miles from the waterfalls and grottoes of the Venetian Pool. This is my preferred Miami Airport Hotel and I have stayed here many times. The rooms are enormous, the staff is friendly and the food is good. This Tampa hotel is 1 mile from the Tampa International Airport and 8 miles from the Amalie Arena. This is a very lovely hotel, with nice and helpful staff, lovely rooms, a nice bar. Located in downtown Miami, this Hampton Inn is a 1 minute walk from the free Brickell Metromover Station. It features an outdoor pool and free WiFi. A daily hot breakfast is served every morning. Very clean, easily accessible, grocery store, restaurants near by. Friendly staff! Comfortable! Bordering marine theme park SeaWorld, SpringHill Suites features two food outlets, a Shamu themed outdoor pool and a hot tub. Its spacious suites include a luxurious bathroom with spa-inspired vanity.... The staff was friendly and helpful. Bed is clean and comfortable. 3.2 miles from Ernest Hemingway Home and Museum, The Laureate Key West is located in Key West and has free WiFi and concierge services. it's a very lovely hotel. they take good care of every little detail. Generator Miami is located in Miami Beach. This 3-star hotel offers free WiFi. The property has a 24-hour front desk, and organizing tours for guests. Everything is new! Very comfortable!! Offering complimentary airport transportation, Comfort Suites Fort Lauderdale Airport & Cruise Port is located in Dania Beach. Guests can get a workout in the 24-hour fitness center. Where do I start!? The receptionist, Chris, was incredible. Hyatt House across from Universal Orlando Resort is conveniently located a 3 minutes' drive from Universal Orlando Resort. Everything is perfect , the location , breakfast and pool. Set in Marathon, 0.9 mi from Florida Keys Aquarium Encounters, Hampton Inn Marathon - Florida Keys has rooms with free WiFi access. The staff is very friendly and the room super clean with a large flat screen tv. Offering four-star accommodations, Hard Rock Hotel Daytona Beach features an oceanfront pool and 20000 square feet of meeting and event space. Great location near the heart of Daytona one of the best hotels in the area. With a rooftop pool and hot tub offering views of the harbor, TRYP by Wyndham Miami Bay Harbor provides a relaxing stay in Bay Harbor Islands. The staff at the Hotel was outstanding !! Featuring an outdoor swimming pool, AC Hotel by Marriott Tampa Airport offers rooms in Tampa, 1.3 miles from Raymond James Stadium and 5 miles from Hyde Park. The staff was amazing. Extremely friendly and helpful. Very smart hotel design - loved it! Located in Miami, 1.7 miles from Bayside Market Place, Hyatt Centric Brickell Miami offers amenities including a fitness center and a terrace. Perfect location, beautiful view, rooftoop pool, clean and comfortable rooms. Conveniently located in the middle of St Petersburg, Hyatt Place St. Petersburg/Downtown is within 2297 feet of Chihuly Collection and a 9-minute walk of The Dali' Museum. How close it was to nice restaurants and bars. Conrad Fort Lauderdale Beach is located on the beachfront in Fort Lauderdale. Awesome accommodations with a fantastic beachfront location. Roller coasters, an African safari, fine dining and more can all be found at the Walt Disney World Resort. 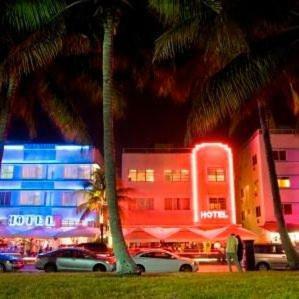 South Beach offers lively nightlife and gourmet dining sandwiched between Biscayne Bay and the Atlantic Ocean. Ernest Hemingway's House, famous for housing the descendents of the author's 6-toed cats, is at the southern tip of Florida. 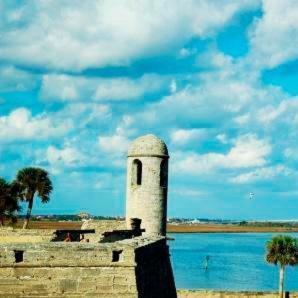 Check out the local artisans and Spanish cuisine around the 17th century fort in the oldest continuously populated US city. 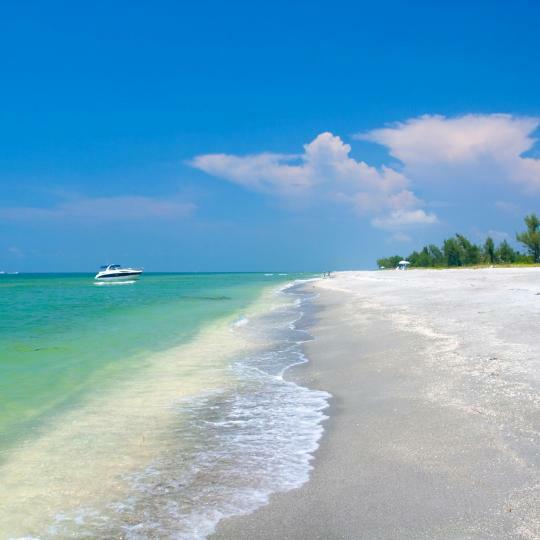 Escape to the white sandy beaches of Sanibel Island and spend a lazy afternoon hunting for the prettiest seashells. 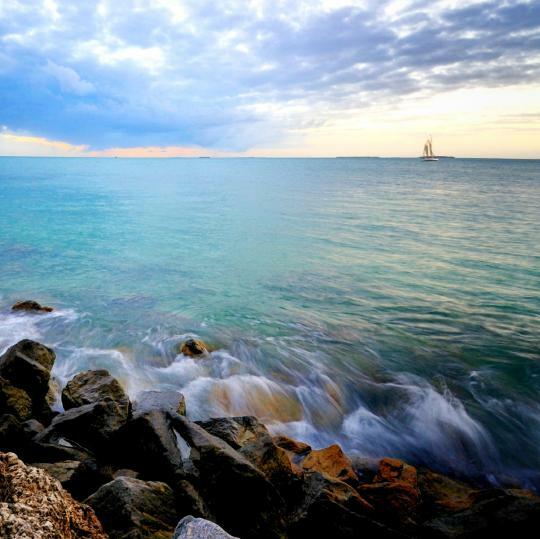 Art and nature collide at St Pete Beach, with the Salvador Dali Museum and Fort De Soto Park. 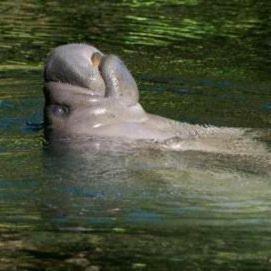 Experience this World Heritage Site, home to endangered species including the Florida manatee. 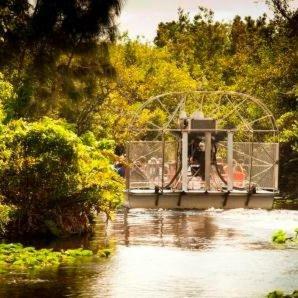 Wade into the refreshing Blue Spring, swim alongside manatees at this manatee refuge, and sun yourself on the banks of the Saint John's River. 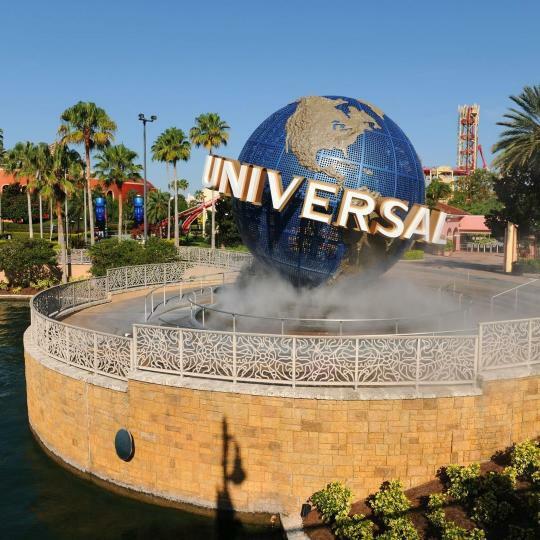 The clubs at CityWalk, Islands of Adventure, and Universal Studios allow adventure and nightlife to intertwine. Visitors can enjoy a personalised tour of Winter Park's numerous lakes and canal systems. We love vacationing in Orlando we live in Florida and we have taken many trips through the years to Orlando it's a great destination for kids there is lots to do and the theme parks are amazing the pools and swimming pools at the hotel's keep the children busy too! As soon as you leave the thruway , on the exit ramp, headed toward the surprisingly palm- tree-lined Royal Palm Blvd., what you encounter is a beautiful city with the feel and look of a well designed, well laid-out, very well landscaped village! Especially surprising because of its proximity to Ft. Lauderdale , it is a restful oasis moving at a pace all its own.....don’t miss the Sawgrass Mills Mall ! or Flanigan’s Restaurant on Weston Rd. which is really worth a visit-or 2!! The fact the Cleveland Clinic Florida is centered there makes it perfect!- a top notch clinic, hospital and emergency room with top notch physicians and staff, that is very patient-centered. Between Hotel-offered shuttle services, public transportation, taxis and Uber/ Lyft you shouldn’t have any problem getting to where you want to be! I took my kids with a friend of their time to the Florida keys. My friends were down also we had boat access and fishing. We got to play with a new fish grouper. That was a amazing experience. Sumbro beach was fun. Kids got to find Coral in the water as a keep sake. I took the boys down to key west for a day of bike riding. Mel Fischer museum was amazing. A must see. Most southern point also. I would likely go back in a few years. The touring scenic Capitol of Florida is exceptional gorgeous!!! 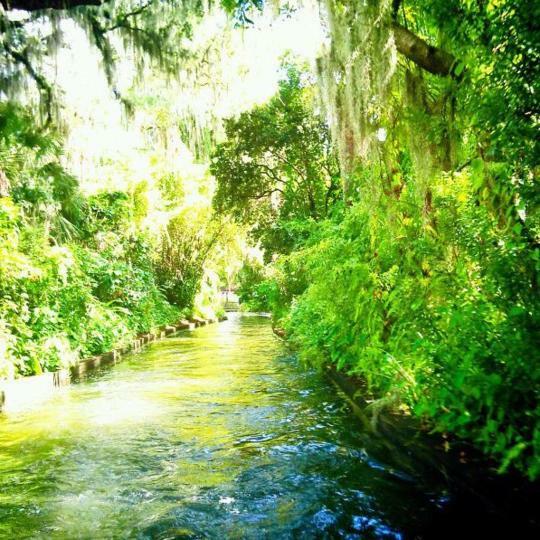 Wakulla Springs is where the original Tarzan was filmed...and the glassy boats is a MUST see experience you will never forget!!! My experience with Clearwater Florida was awesome as far as the attractions. My hotel stay However was a horrifying experience! So next time I am definitely going to pick a better Hotel so that I can stay a whole lot longer. It was great! Florida City was exciting and in the middle of things. We ate at Denny’s the food and wait time was great! and we saw that apart from Denny’s there was so many things to and see and do.And of course we loved the fact that we were close to the Keys. And the Crocodile farm was great Too! Beautiful beaches, water and piers. Beautiful beaches, water and piers. Friendly people. I love how people are proud of their beaches and keep them clean. Awesome that there are rinse off showers available everywhere. And I appreciate the fact that there was no driving on the beach, and no trash. Makes it a wonderful place for visitors. So proud to have gotten to spend time in Pensacola Florida!! Pretty much shuts down at 9pm. Pretty much shuts down at 9pm. But it's a lovely little place. Very clean and old Florida. Everyone we encountered was friendly and helpful. Plan to return. It’s “ Old Florida”. Had a great meal at Sparkys(kind like Cracker Barrell, without all the merchandise)), and theBlackwater Inn is right across the river. Juniper, Silver Glen and Salt Springs-are all close. I was born and raised in Seminole, so were my siblings. We went to school with the Westphal kids. When Mom and Dad died, we had to sell the family home last year, directly across the intercoastal way. So we needed a new 'home base' for the beach and we found it. We thank Wes for preserving the 'Old Florida' we know and love. It is a wonderful home and we value the charm. The apartment was spotless, comfortable, and water views from every room. We loved it and will return again and again. The room was very nice the beechview was very nice the staff was excellent. It was just an overall great experience. And I will be staying at your hotel again in the future for sure. 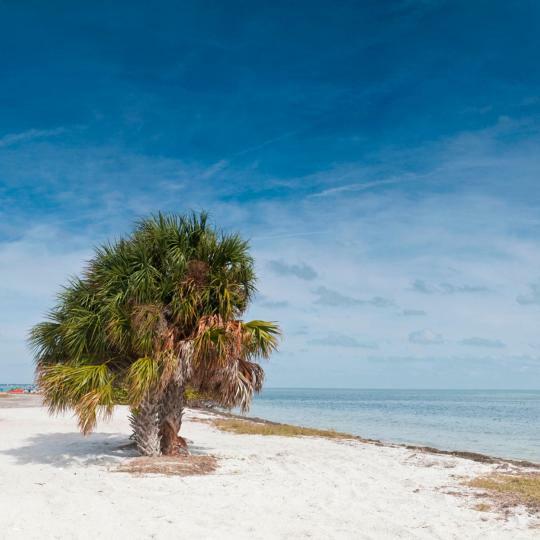 I am a Florida resident I live in the Tampa area but I have friends that come down from the north all the time and I will definitely bring them down to Fort Myers Beach. Would it be possible for you to send me a year round Room rate schedule if you have that information? I travel a lot, 59 years old, and this hotel is clean, quality beds, and I will stay here again when I go to Florida. I stayed at a hilton Chicago and saw no difference in the room s except paying 3 times more for the Hilton. Stay here, it's clean and nice. What I liked when I left was the owner was there thanking us for staying at his hotel. That told me appreciates our buissness. He was in a ball cap and jeans. A working man!!!!! Breakfast, pool, furnishings, decor, bed, kitchen in room, storage in room were all great! Towels were very think for a hotel. Close to great restaurants - The Back Porch and a superb candy/chocolate shop were on the way to walking to the beach. If you beach behind the Back Porch they have chairs and umbrellas for rent. I think Florida's new public/private beach laws are a mess they will have to "fix". I have rated "value for money" - Poor, because of the Red Tide effect during our stay. Additionally, the prices per night are not really competitive at the end of the August period. Many other hotels on Florida coasts offer better rates with similar or better hotel ratings. I can only assume that due to the hurricane and the amount of people staying at the hotel limited the chance to keep the carpets In The room clean. Also, not sure if it’s because the hotel is in Florida, but there were no blankets in the room, only sheets. Different. Clean pet-friendly property close to beach, min fridge in room, great little pool area and a small but very friendly tiki. Complimentary coffee in the lobby with cool 'make your selection' coffee makers. Great mom & pop style Florida hotel. We came in late and I think we woke the attendant up! Oh well, he was still nice to us. It's just an old Florida Motel!! BUT...this place was SUPER clean, we were actually shocked! I've seen really Nice Hotels that weren't this clean. Very lovely setting, standing out as a formerly typical Florida resort among high rise hotels on either side. Rooms are spacious, Our room 509 has the best view at a higher rate, but sits next to Jimmy s Bar w/ nightly loud entertainment. I loved the "old Florida" feel of the hotel - not a cold condo. Location couldn't possibly be better and "homey" at the same time. The back lagoon was lovely. Needed more chairs on the dock to enjoy it, though. The beach is beautiful in this part of Florida. The hotel sits right on the beach which is designated "private" (although they do not enforce this and the beach was filled with people who did not stay at the resort). We love the “old” Florida feel of this cute hotel. But the best part is how friendly and helpful Ulli and Michelle are. Clean, bright rooms with a great pool and view of the inter coastal waterway. Can’t wait to come back. Quiet, old Florida. Wonderful beach, location convenient to restaurants and activities but hotel itself private and quiet. Will be back, a hidden gem! This was my friend and I'm first trip to Florida; and seeing the beach. It was absolutely amazing! The hotel was perfect! Thank y'all!